I love GOLD!!! Steem Monsters announces gold card airdrops for early investors. Gotta catch em all! Today has been absolutely amazing! The SEC has made a lot of bullish statements about crypto which seems to have added a bit of faith to the blood bath we are all currently experiencing. 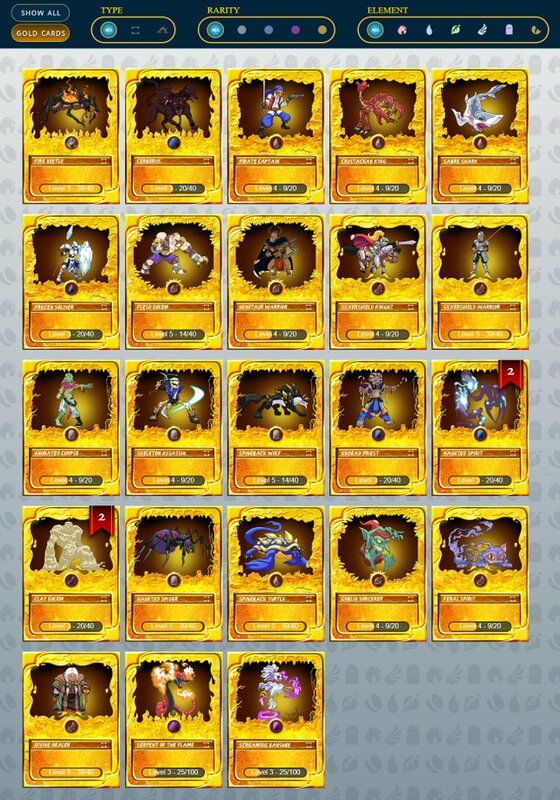 On top of that, @steemmonsters made a historic announcement today that they have now released GOLD cards! Early adopters were air dropped gold cards and I'm so thankful to be apart of it! Here's what was dropped to my account based on my most recent purchases. Strange, I have not received any gold cards! how many packs did you purchase historically? yea, that may be why. It was based off of a formula. I have purchased over 600 packs. My god 600, you are a true supporter! I would say you would need to buy more packs to get more golds. This is inaccurate, they didn't airdrop the gold cards. There post said they calculated how many packs each buyer had bought and used the odds of getting gold cards to give them cards they would have got if they bought the packs now. Basically if your unlucky you could have no gold cards, so an airdrop sounds like your guaranteed which you are not.